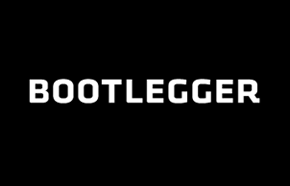 Bootlegger Boxing Day sale is now live online. All regular and sale priced tops 25% off. 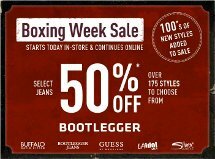 Ready to start this Boxing Week off on the right foot – begin your holiday shopping December 26th at Bootlegger when doors open at 8am. 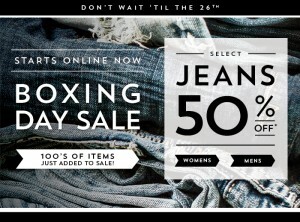 In-stores they are giving 50% off on select brand names and house brand denim. It gets better…Get additional markdowns on remaining merchandise from 2012. This is something you can’t afford to miss out on. It's on for three days only!